Welcome! The lobby of the Deranged L.A. Crimes theater is open! Grab a bucket of popcorn, some Milk Duds and a Coke and find a seat. 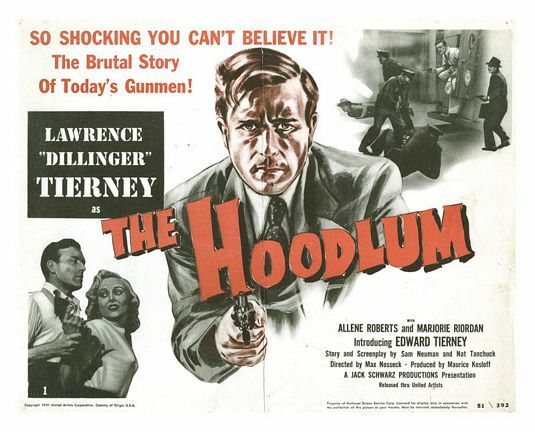 Tonight’s feature is THE HOODLUM, directed by Max Nosseck and starring Lawrence Tierney. Uh, oh. We know this can’t end well. Enjoy the movie! This entry was posted in 1950s, Film Noir Friday and tagged bank robbery, Film Noir, Lawrence Tierney, Turner Classic Movies by Deranged. Bookmark the permalink.